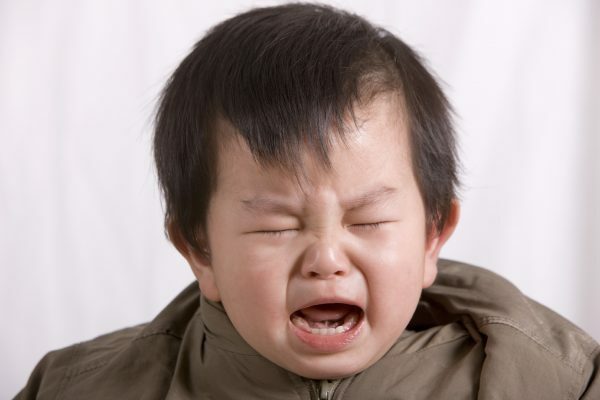 Tearful, tantrum-filled goodbyes may be commonplace for you right now. Whether you need to leave your child with a sitter for the evening or drop her off at day care, your toddler might react by crying, clinging to you and resisting attention from others. Many kids develop stranger or separation anxiety, getting upset when a parent tries to leave them with someone else, around their first birthday. They’re growing into more independent toddlers, yet are even more uncertain about being separated from a parent. In the meantime, understanding what your child is going through and having a few coping strategies can help both of you get through it. Dr. Bilge-Johnson offers 10 tips to help make your goodbyes a little easier. Schedule quality playtime before separation. Be sure to set aside time to play with your child before bedtime, or maybe wake up a little earlier so there’s time to play in the morning. It’s important to make sure your relationship stays strong. It’s not just good for your child, but it’s good for you, as well. Tell your child about the separation beforehand. Explain to her who’s going to take care of her and what’s going to happen while you’re away. Reassure her that you’ll be back — and explain how long it will be until you return using concepts she will understand (such as after snack time). It gives your child structure and assures her it’s only temporary. Books can be helpful, too, to illustrate what’s going to happen. Dr. Bilge-Johnson suggests, “The Kissing Hand,” which instills the message that mom is always there in her child’s heart. Keep your own anxiety in check. Parents have their own worries about leaving their kids with another caregiver or may carry guilt. Toddlers will pick up on that; they are so in tune with their parents’ emotions. If you remain calm, your toddler will adjust better and calm down after a few minutes. Practice leaving your child with a close friend or family member she’s comfortable with for short periods at a time so she can gradually get used it. If you’re introducing a new caregiver, invite that person over in advance so they can spend time together while you’re in the room. If your child is starting at a new day care center, make a few visits there together before a full-time schedule begins. It’s important to keep the exit ritual short. Maybe a hug and a kiss, and a reminder when you’ll be back. Kids feed into a parent’s emotions, so stay calm and show confidence in your child. Give her your full attention during goodbyes, and when you say you’re leaving, mean it. Continuing to come back will only make things worse. It’s important to make sure you return at the time you promised. This is critical — this is how your child will develop the confidence that she can make it through the time apart. If you have anxiety about leaving your child and think it’s affecting her, ask the other parent or a family friend to drop her off with you as support until you and your child are more comfortable with the separation. Get feedback from the caregiver. It’s important to know whether your child calmed down after you left. Did she play well? Did she sleep OK? You need that information to know whether your child is adjusting well. Plus, it can help calm your worries, too. Try not to leave when your child is tired, hungry or restless. If at all possible, schedule your departures for after naps and mealtimes. Pack your child’s comfort item. Sometimes it helps to leave a cherished object, such as a favorite blanket or stuffed animal, your child can use for comfort while you’re away. If intense separation anxiety lasts into kindergarten or first grade and begins to interfere with your child’s sleep, daily activities or school adjustment, it could be a sign of a more serious condition known as separation anxiety disorder. It’s the most common disorder in children, affecting about 3% of kids.